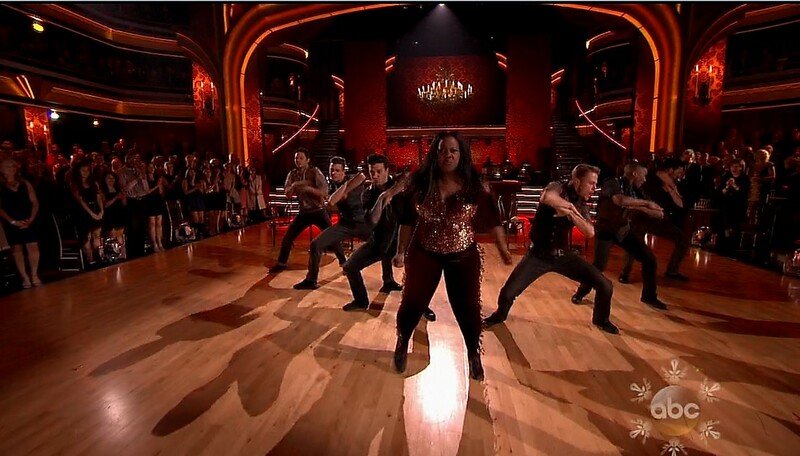 Last night, Dancing With The Stars pro Henry Byalikov danced with Amber Riley while she sang “Santa Baby” at The Roxy!! This is so cute!! Enjoy and thanks to @AmberRiley_News for sending!!! This past Wednesday, we posted the on-line coverage of the three finalists visiting Good Morning America after the finale of Dancing With The Stars, but, they didn’t post everything. Thanks to Heidi, she’s recorded everything in full (or close to everything in full) including the troupe dances, etc.. Enjoy and be sure to see Pure Derek Hough for more coverage with Amber and Derek if interested. Heidi has posted their appearance on The View, screen caps galore, and much more. So, just a few media starters today!! First, yesterday some “kitchen dance wars” were started at twitter between the Derek Hough and Maria Menounos families. While this was all going down, Mark Ballas and his family joined in on the action. After that, Amber Riley and her family dared them too. It’s hilarious and they are all so good…even dancing in their kitchens and living rooms. lol Be sure to see THIS POST at Pure Derek Hough to see them all!! And speaking of Mark Ballas, he will be talking on the Dancing With The Stars Season 17 finale in a LIVE chat at Extra on Tuesday, December 3rd. If you’d like to ask him questions and listen in, bookmark this link. Also, I’m not sure when this little Pop Candies interview with Tom Bergeron and Mark Ballas happened, but, they were asked about this past season of Dancing With The Stars and who they’d like to see dance in the future. Tom mentions William Shatner again, but, says he knows he’ll never do it. Poor Tom….he’s also asked some silly questions too. I don’t know how they keep their patience with the paparazzi sometimes.